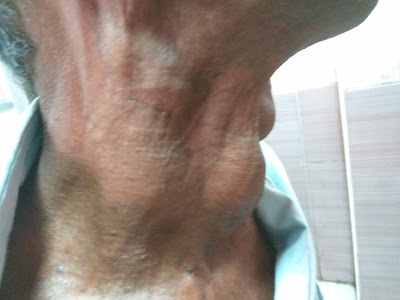 62 year old Man from a remote village had come with complaints of swellings in neck from past 1 year. The swellings were painless. 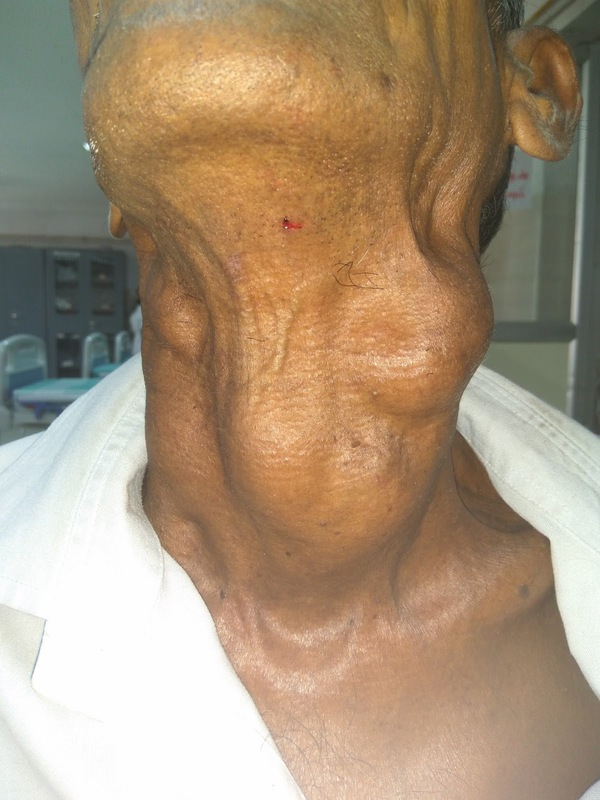 He had a history of hoarseness of voice, loss of appetite and significant loss of weight. There was an irregular mass in the midline which moves on swallowing. FNAC revealed Papillary Thyroid Carcinoma.